Sometimes I have to check in on the r/conspiracy subreddit just to see what new nutty conspiracy theories are out there. I try to make sure that I've girded my loins and stiffened my spine beforehand, because the level of complete batshit insanity demonstrated by the regular contributors really has to be seen to be believed. On my most recent visit, I was not disappointed -- there are not one, nor two, but three truly amazing new conspiracy theories, if by "amazing" you mean "ideas that you would only come up with if you have a single Cheeto where most of us have a brain." First, we have astronomer Paul Cox inducing multiple orgasms in the Planet X crowd by making a joke while analyzing a video of the recent transit of Mercury across the Sun. "See that mysterious bright glow on the right side? What do you suppose that is?" Cox asks, pointing to what is clearly a lens flare. "Do you think it's the mysterious planet Nibiru?" He then goes on to say, "We don't cover things up like NASA does." Well, you don't joke about such matters, not when people like YouTube contributor "EyesOpen37" are listening. "EyesOpen37" doesn't believe in lens flares. "EyesOpen37" thinks it's much more likely that a vague, diffuse glow is unequivocal evidence that a huge planet inhabited by our reptilian alien overlords is coming into the inner solar system for a visit, and NASA is desperately trying to make sure that no one finds out about it. Yes, there are lots of dead astronomers. Aristarchus, Hypatia, Nicolaus Copernicus, Tycho Brahe, Johannes Kepler, Edmund Halley... the list goes on and on. There's only one possible answer -- they were all killed to keep them silent about the Planet Nibiru. I have documents showing that Bin Laden is still on the CIA’s payroll. He is still receiving more than $100,000 a month, which are being transferred through some front businesses and organizations, directly to his Nassau bank account. I am not certain where he is now, but in 2013, he was living quietly in his villa with five of his wives and many children. Osama Bin Laden was one of the CIA’s most efficient operatives for a long time. What kind of message would it send their other operatives if they were to let the SEALs kill him? They organized his fake death with the collaboration of the Pakistani Secret services, and he simply abandoned his cover. Since everyone believes he is dead, nobody’s looking for him, so it was pretty easy to disappear. 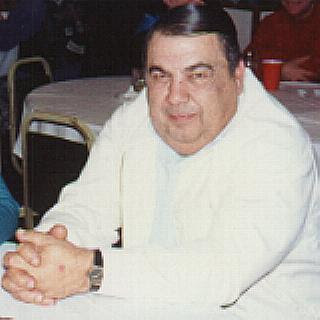 Without the beard and the military jacket, nobody recognizes him. Note: The original source of this information has not been validated nor confirmed by any other source. In other words, even though we're not sure if it's true, you're clearly a KoolAid-Drinkin' Sheeple if you don't believe it. And since bin Laden is still alive, it must therefore follow that lots of other Big Bad Guys are, too. For our last dip in the deep end of the pool, we go to the site OrionStar 3000, wherein we learn that Josef "The Angel of Death" Mengele is not only still alive, he is also the "Zodiac Killer" who killed seven people in the late 1960s in California. So I think we have a definitive match. 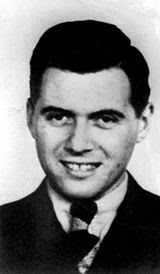 As far as how Mengele could still be so spry despite his age, we're told, "Mengele looks much younger than he really is due to years of face-lifts, anti-aging hormone injections & alleged cannibalism!" [SS Lieutenant Colonel] Otto Skorzeny faked Hitler's death! Nazi Germany Really Won WWII! Hitler lived to be the oldest man in America until he died at the age of 114 years in 2/2004 in the Bethesda, MD Naval Hospital. The son of Tesla's illegal immigrant German Born accountant George H. Scherff Sr., SS Nazi spy George H. Scherff Jr. aka: US Navy Pilot: George H.W. Bush murdered his two TBF Avenger crew members by bailing out of his perfectly good airplane. Bush became a heroin junkie to try to escape his guilty conscience. Scarier still, this site doesn't have a disclaimer. So it must all be true, right? So that's our fun excursion through CrazyTown for today. I hope you enjoyed it. Myself, I'm wondering if I can get a hold of any of that anti-aging stuff. I'm hoping I don't have to resort to cannibalism. Let me be honest with you. I hate how people like yourself, and society at large, stereotypes and shames "conspiracy theorists". If you look at the top submissions on /r/conspiracy, they're not about Ancient Aliens or Planet X or 2012 or Obama declaring martial law. They're about police brutality, local corruption, the Iraq war, and the trans-pacific partnership. There are people who care deeply about revealing the failures of their government--the corruption, the wartime atrocities, the lack of transparency--and upholding our constitutional rights. They fight against mass surveillance, endless overseas wars, a lack of government transparency, "trade deals" that cede the sovereignty of national governments to multinational corporations, and an overburdening and frequently corrupt police force. They fight against "civil asset forfeiture", a policy allowing police to arbitrarily confiscate the assets of citizens without trial or charge. They reveal the financial interests and corporations that benefit from corrupt government policies and wars. They uncover violations of our constitutional rights. They are the greatest patriots: they discover what our government has done wrong, and demand that it does better. Such is, by and large, the community on /r/conspiracy. And such is the community demeaned by the mainstream media as being kooks, fanatics, charlatans. What weirdos, to care about our CONSTITUTIONAL RIGHTS! What crazies, to call out government corruption! We all know that our government isn't corrupt! Sarcasm aside, you are falling into the disturbing trend that slanders critics of establishment policy. Maybe you should expand your mind slightly.